Seventeen essays on the laws of nature selected from Isaac Asimov’s earlier articles on physics, now updated and enhanced with new photographs and captions. Here is Asimov true to form: getting an idea for something new in science and hypothesizing how to make split seconds more visible; deciphering the concept of entropy (with an analogy to Shakespeare thrown in! ); discussing degrees Fahrenheit and Celsius and speculating what the highest real temperature might be; coming to terms with the most tantalizing enigma of nuclear physics—the discovery of the muon. 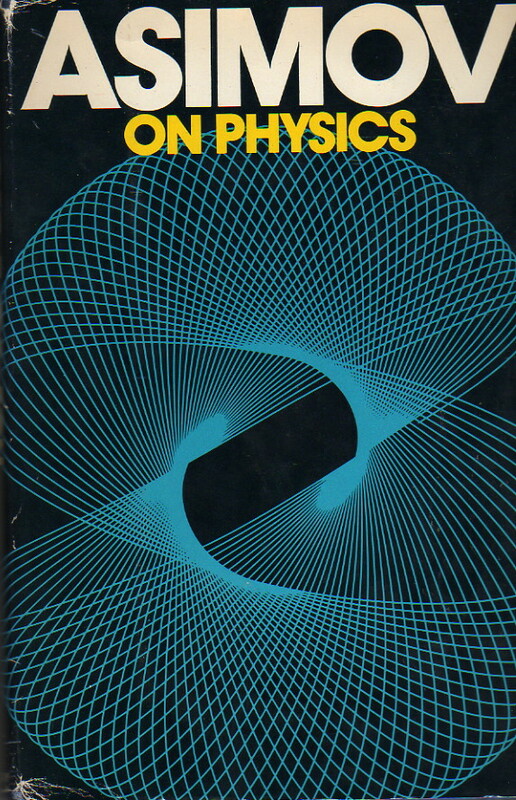 Whether explaining nuclear forces at work within the atomic nucleus, electromagnetic forces that bind the atom itself, gravitational forces that move the heavens, or tracing the history of scientific concepts from Aristotle to Galileo and Newton through Planck and Einstein, Asimov demonstrates anew why he is regarded of something of a natural wonder himself. There is little to say here that isn’t said about Asimov on Astronomy. Again, we have some of Asimov’s best F&SF essays culled from his first five collections, updated, illustrated, and indexed. (And so now only thirty years out-of-date instead of forty, which is progress I suppose.) A nice collection, more than worthwhile.